Ch. 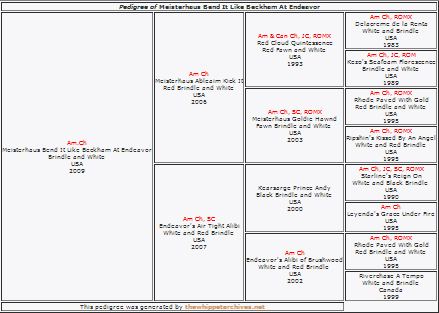 Meisterhaus Bend It Like Beckham At Endeavor "Brooklyn"
Brooklyn finished exclusively from the Bred by Exhibitor class with four major wins. 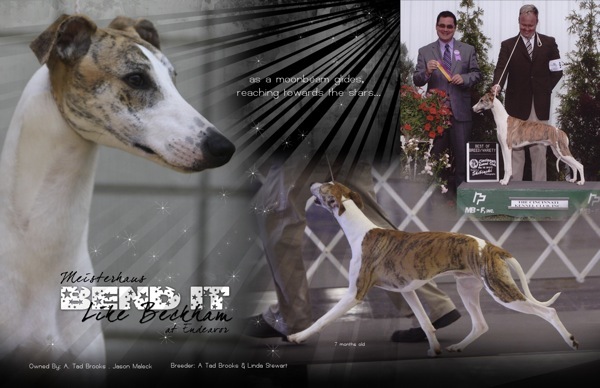 At his first bench show, noted Hound authority Mr. D Scott Pfeil, awarded Brooklyn Best of Breed over Top 20 specials and he then went on to place 4th in the Hound Group at only seven (7) months of age. 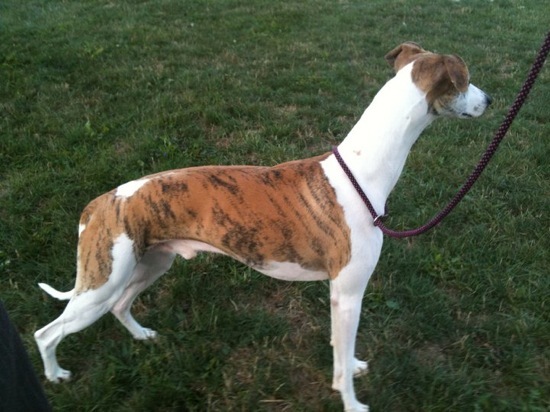 Along the short road to his championship, he had two very nice wins under longtime Whippet Breeder-Judge, Mr. J. Randall Tincher, and Tripletime Whippets. 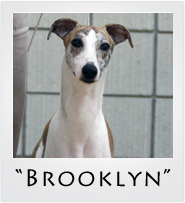 Brooklyn’s fourth major was an American Whippet Club supported entry at the Waukesha, Wisconsin cluster. This wonderful win was under, Mrs. Donna Lynch of Hamrya Whippet Fame.